Tele Vue: We’ll Always Have Paris! Here I am with Pierre-Jean who I first met in 2006. 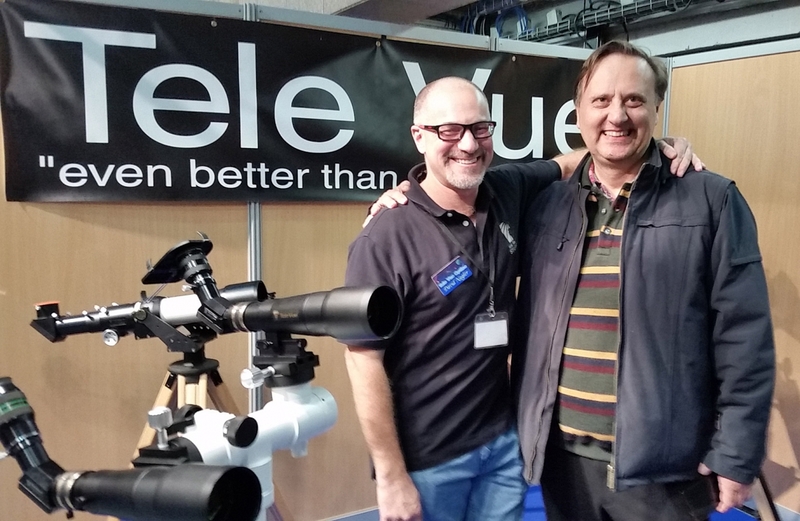 In this photo from the 2016 RCE, Pierre-Jean had just purchased his 82nd and 83rd Tele Vue eyepieces, a pair of 15mm Plössls. It’s almost time to board the plane for my biennial trip to the “Rencontres du Ciel et de l’Espace” (RCE). 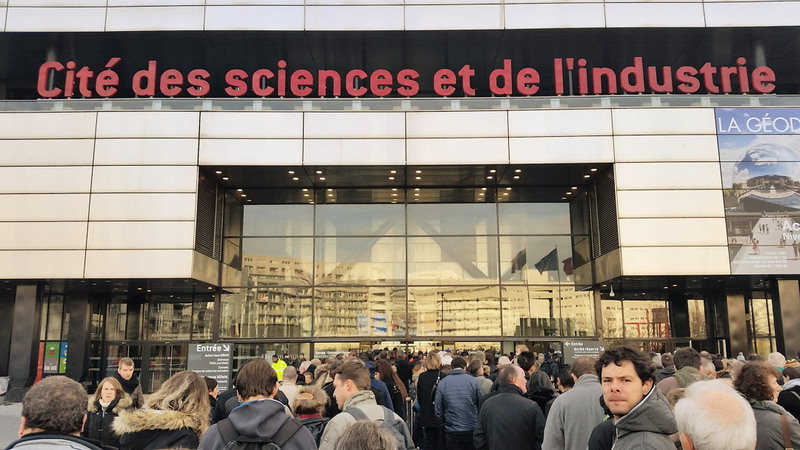 The show takes place from November 1st through 3rd at the Museum of Science and Industry in Paris and features over 150 lectures (in French of course) over the three days with vendors spread over two floors. Daily attendance is in the neighborhood of 2,500 people, so it’s a busy show! The crowds start lining up early in front of the Science Center. Typical attendance is about 2,500 people per day. 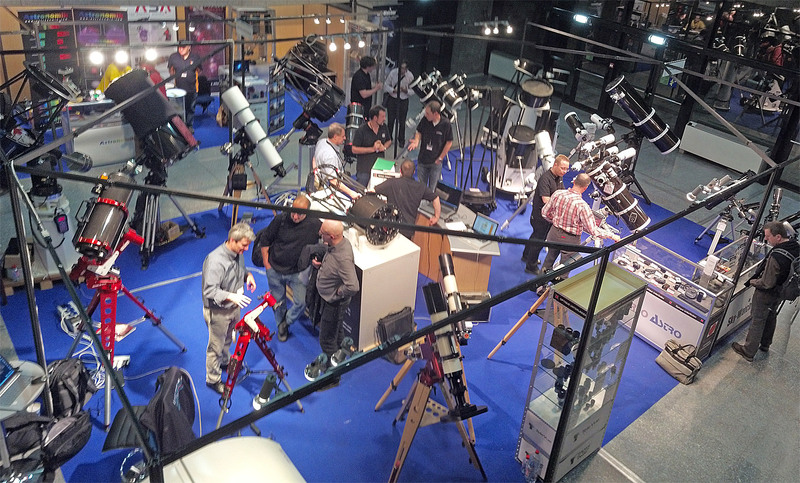 I’ve enjoyed demonstrating Tele Vue eyepieces and telescopes at this show since 2006! 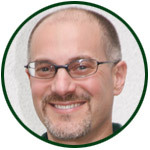 I’ve met many wonderful amateur astronomers over the years and always look forward to returning. Though I still don’t speak a word of French, I’m always amazed at how easy it is to communicate in the language of the telescope. Optique Unterlinden crew helping customers. 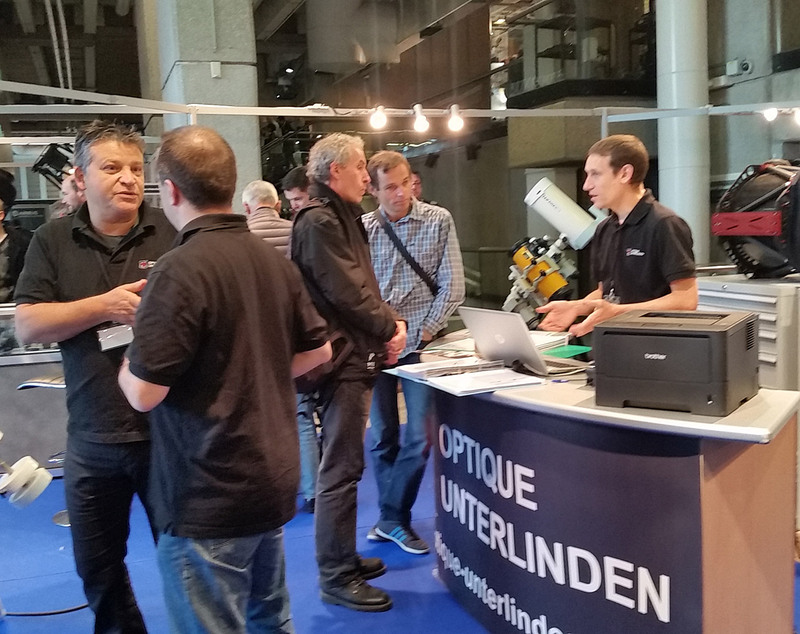 Extensive array of equipment for amateur astronomers present in the Optique Unterlinden both. Once again I’m being hosted by our longest standing European dealer, Optique Unterlinden. They have been tremendous Tele Vue supporters since the early 80’s! To put that in perspective, I started full-time at Tele Vue in 1988, so they’ve got me beat. The OU staff has also visited us at Tele Vue for factory training on repair of Tele Vue telescopes and eyepieces; such is their commitment to our company. Fonemate image of Kermitis through a Tele Vue-60 and 18.2mm DeLite eyepiece. 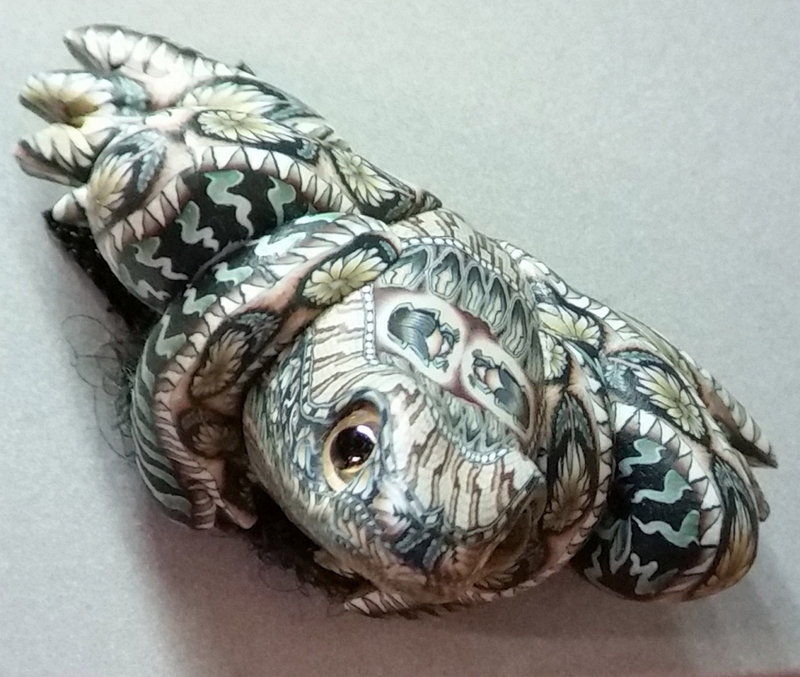 Trust me, the irony of showing a frog to the French is not lost on them. I want to thank Marc and Luc for inviting me again this year. You will find me in their booth with a bunch of our telescopes and mounts, all our eyepieces, and plenty of accessories to play with. Kermitis is already packed for the journey. 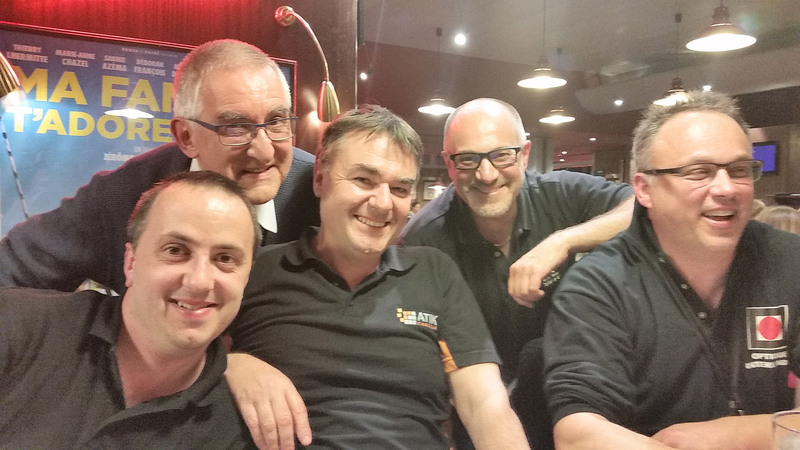 L to R. Luc Dietrich and Marc Dietrich of Optique Unterlinden, Steve Chambers of Atik Cameras, yours truly, and Richard Galli of OU. ROTARION eyepiece wheel — chock-full of Tele Vue eyepieces! See more on the ROTARION on our Cherry Springs Star Party blog post this past year. This year we’ll have an additional something special as my friend Alvaro Martinez of AstronSCIENTIFIC will join me to demonstrate a collaborative project fitting Tele Vue telescopes with the Rotarion Eyepiece Wheel and Imaging accessories. The Rotarion is a superbly engineered piece of equipment which beautifully complements our refractors. Just like our scopes and eyepieces, you really need to see it in person to understand how valuable it can be to your observing and imaging. Drs. Sébastien and Céline Vauclair and I (not a Dr.) share a toast during the 2016 show. 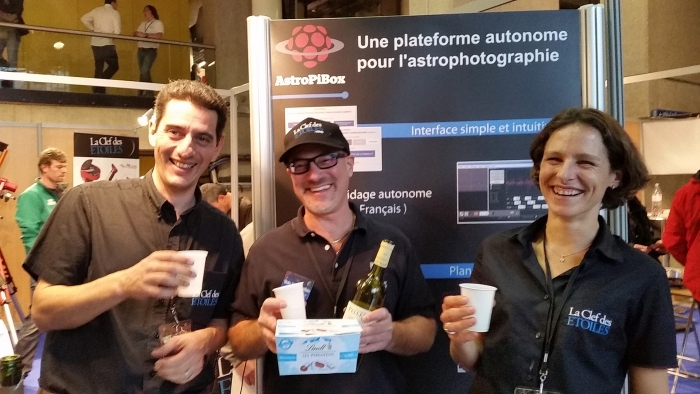 The Toulouse based husband and wife team started La Clef des Etoiles and became Tele Vue dealers in 2004. They literally marry their astrophysics backgrounds with their love of observational astronomy with their two businesses CosmoDiff and La Clef des Etoiles. Exhausted from three very long days of exhibiting, not to mention the load-in, setup, tear-down and load-out of tons of equipment, the Optique Unterlinden crew always has a great time and a lot of laughs. Previous Previous post: Tele Vue-NP101is Imaging the Skies of Rhode Island!